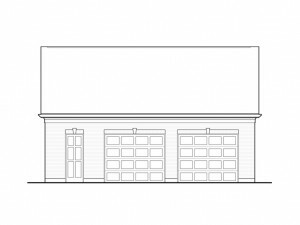 Before you buy a garage plan, consider the purpose of your new garage. How many cars do you plan to store? Do you need a workshop? Extra storage space? Do you need living space? What are the dimensions of your lot or the space you have on which to build? What architectural style do you prefer? Answering these questions will help narrow down garage plan choices allowing you to selecting the right one for your needs. Hire a builder that has plenty of experience in residential construction. Word of mouth is a good way to find an experienced builder. Check with family members and friends who have built. Ask for recommendations from lumberyards and building supply retailers or your building inspector. Once you’ve hired a builder/general contractor, go over your entire project. Ask if the builder has any suggestions or sees any immediate problems that must be addressed before construction begins. Meet with everyone involved in the construction of your new garage including the electrician, framers, roofer, builder/general contractor, etc. Outline all the details of the garage building project from the foundation and plumbing, electrical and HVAC needs (if applicable), to exterior finish and trim and any other details pertinent to the project. Thoroughly planning ahead of time will help you avoid change orders during construction. Not only can these be expensive, but they can extend the construction timeline. Be sure to think about future uses of the garage, such as converting it to a guest house, or adding a home office at a later time. These possibilities for additional living space will influence installation of HVAC, plumbing and electric. Take advantage of the opportunity to add a workbench, shelving, cabinets or storage closets during construction. If you think you might add them later, you might as well add them now while you have professionals on the scene who can handle these additions with ease. Avoid paying for the entire garage building project up front. Make arrangements with the builder or general contractor to pay off the final balance after you’ve had an opportunity to have the final project inspected by your local building inspector. If you are planning to build a garage, use these handy garage building tips to help you throughout the construction process. For more garage building information check out our resources page. Couldn’t agree more, whether its the house or garage, have the right people install the elements they specialize in and you will always come out more confident in the work and most of the time, safer than if you hadn’t.